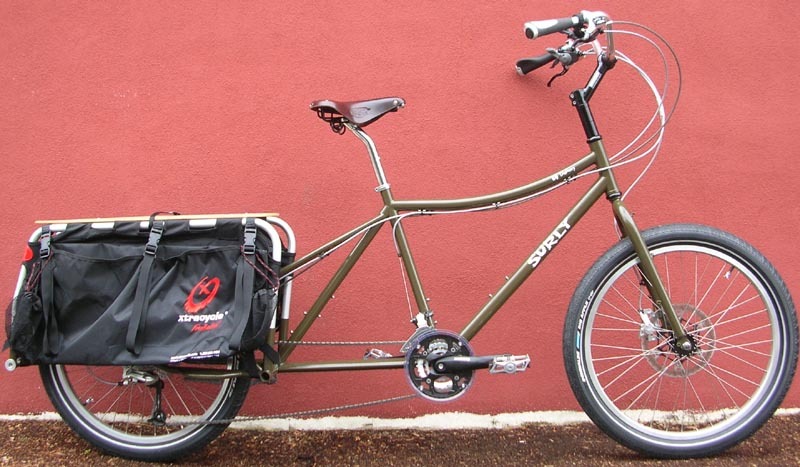 More information about the Big Dummy is here on the Surly Blog. Dimension city bars (not cruiser) give a great heads-up riding position and offer a relaxed hand position. Their modearate width makes them great for climbing out of the saddle. Ergon grips eliminate hand numbness. Brooks saddle, simply the best and most comfortable. The lay-back seatpost decreases the seat angle for a more comfortable yet powerful position (think leg press machine at the gym). 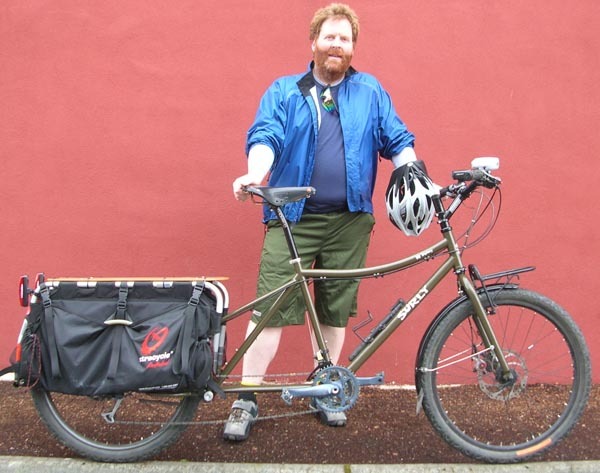 We choose dual piston hydraulic brakes with 8 inch rotors for low maintenance and better stopping for Seattle's hills. 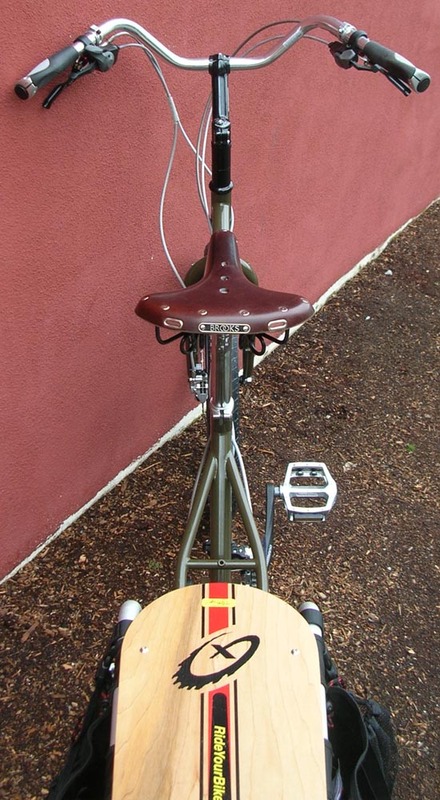 24" wheels make the bike handle better loaded and are stronger than 26" wheels (actual wheel diameter is 25.5 inches). Pedal strike is not a problem because the BB is higher than a normal MTB by 1cm. 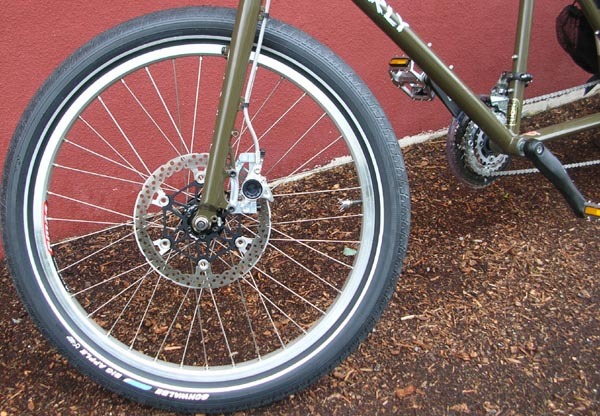 It is no different than if you put skinny slicks on your mountain bike for commuting! Don't be fooled by the "low-spec" of the shifters. Alivio shifters are every bit as durable as Deore LX! 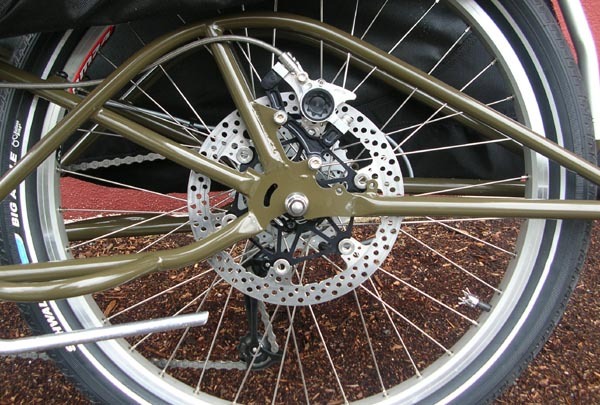 8 speed drivetrains are much more durable than 9 speed, and replacement parts are in the reasonably priced. The Shimano XT rear hub freewheel mechanism is more durable than the Deore and is easily available as a replacement part at any bike shop. Surly's NEW Disc front hub (bolt-on) gives you the low-maintenance advantage of cartridge bearings at less than half the price of Phil Wood. We have "upgraded" the security and strength of the rear axle by swapping it for solid bolt-on. We choose a square taper Shimano crank because it is simple and fits the IRD bottom bracket. The chainrings are replaceable. 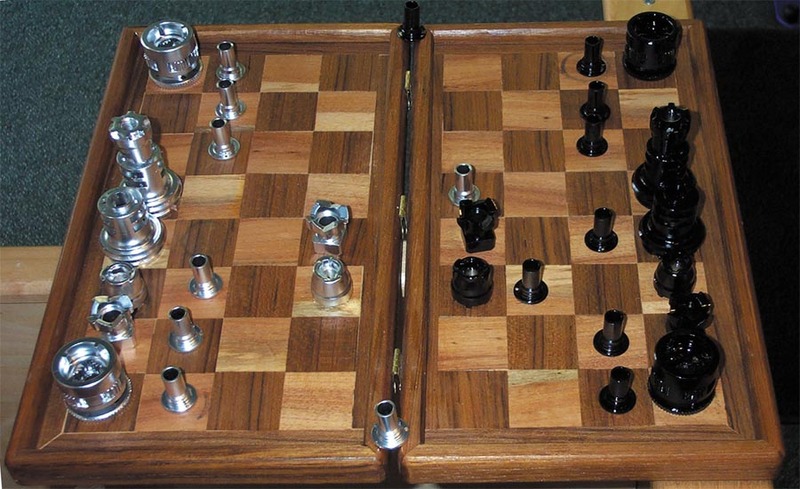 Platform pedals with sealed cartridge bearings will last many years. Schrader valve tubes require no special pump to inflate and the valves are more durable and easily allow Slime tire sealant injection. 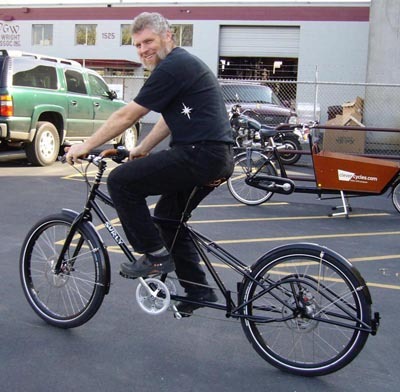 Aaron riding the prototype in the summer of 2007 at Clever Cycles in Portland, Oregon. Forrest and his Big Dummy.